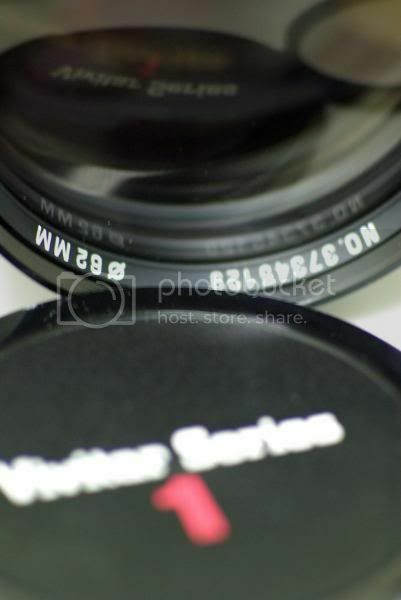 I had impressive experience with the v1 of the Vivitar Series 1 70-210 f/3.5 from Kiron as one of the first three versions recommended by Mark Roberts. I sold it due to its weight at 879g. The Kiron version has better macro at 1:2.2 but this Tokina version has macro of 1:4. Filter size is 62mm. Constant f/3.5 throughout the range from 70-210mm is very fast as compared to my DA 50-200 f/4.0-5.6 or my other longer zoom in Tamron 70-300 Di LD Macro f/4.0-5.6 zooms. Lighter in weight at 710g. Comparing to heavy weight as in 879g for the v1:Kiron version or the 860g in the v3:Komine, I like the Tokina based on the weighting factor. Macro is weaker in the zoom with 1:4. 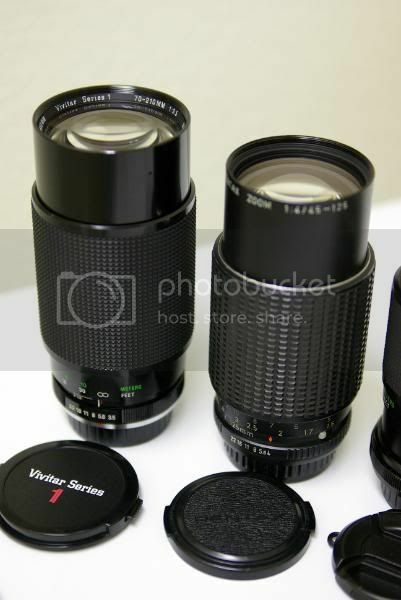 When I test the Tokina version of Vivitar Series 1, I find the Kiron version better. Not only is the close up ratio is weaker in 1:4 as compared to 1:2.2, the lens in wide open aperture has some flare on edges of flowers. I am not sure if it is ghosting or the need for a lens hood. I tested the lens without a lens hood. Though a one-touch zoom design similar to Kiron and the Komine versions, the lens does't have the issue in front heavy with tendency with zoom ring falling to the front. The zoom actually works better than Kiron as I recall. I like the focusing and zooming in Tokina better than Kiron. Manual focusing is excellent with this lens. Sharpness is very close to Kiron and Komine versions, the Tokina when stopped down to f/5.6 or smaller, seem to be the best in sharpness. The only caveat lie in the closeup as I do find the close up to be weaker than the Kiron version. Overall the lens is sharp, colorful and contrasty. I highly recommend with the caveat noted in close focusing where I find ghosting and clipping of highlights on flower edges. I may need to buy a lens hood in size of 62mm to test close up again. Other than that, the lens is superb in clarity, color, contrast and sharpness for a zoom. 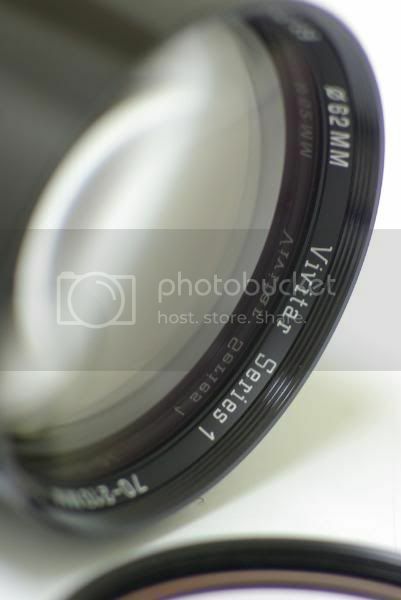 Hi, I own a Canon AE-1 Program, with this lens, and the Canon FD 50mm 1:1.8 that came with the camera. Could you tell me if there are any D-SLR compatible with any of these lenses, maybe your Pentax K10D? any Pentax? Because Canon kicked out the FD mount in the 80's.